Space Physics is embarking on a new voyage of discovery and exploration to characterize our space environment. 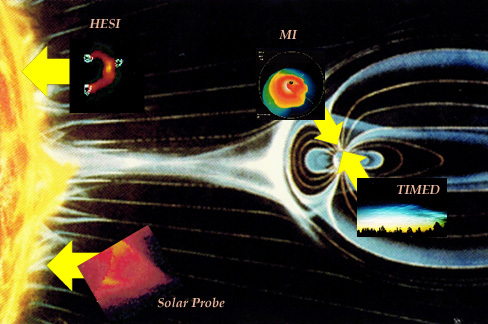 Space physics is the study of the heliosphere (the sphere of influence of the Sun) as one system. It seeks to explore and understand the dynamics of the Sun and its interactions with the Earth and other planetary bodies and with the interstellar medium. Click here for a larger, JPEG representation of the figure at the top of the page.